Motion control system is a challenging problem in the area of control systems. It is very useful to demonstrate concepts in linear control such as the stabilization of unstable systems. Motion control system plays important roles in industrial equipment such as machine tools, semiconductor manufacturing systems, and robot systems. One type of motion control system is the point-to-point (PTP) positioning system, which is used to move an object from one point to another point. Linear motion servo system is a machine that moves the cart from one point to another point. This system consists of a cart driven by a DC motor, via a rack and pinion mechanism to ensure consistent and continuous traction. Till date, many types of controllers have been proposed and evaluated for positioning systems. 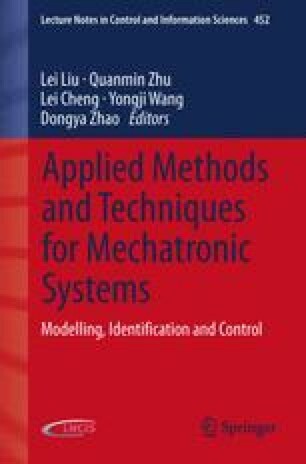 Two types of controllers discussed in this thesis are Proportional-Velocity (PV) and Nominal Characteristic Trajectory Following (NCTF). The experimental results showed that the PV was successfully implemented which controlled the settling time, rise time, and steady-state error of the desired position. However, the overshoot performances show its disadvantages. Additionally, the PV controller design is a time-consuming process, since model and parameters of the linear motion servo system are needed. Therefore, the needs for higher performance controller become important for the simplicity of the controller design. Hence, the investigation proceeds with the non-model-based NCTF controller to control the cart position of the linear motion servo system. The NCTF controller consists of a Nominal Characteristic Trajectory (NCT) and PI compensator. The NCTF controller was designed based on a simple open-loop experiment of the object. The experimental results showed that the NCTF controller is more effective for controlling the position of linear motion servo system than the PV controller.